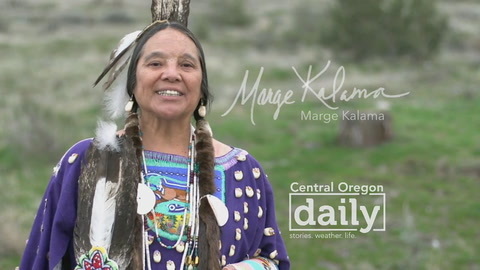 Central Oregon Daily is proud to have one of the most robust and creative production services in Central Oregon. From concept to finished commercial, our team ensures your message is on point to capture the attention of your target customer. Let us tell your story. From commercials… to an action sports TV show… to a brief stint as a news reporter, I’ve been in the Central Oregon television scene since 2003. And as KOHD’s longest standing employee, I couldn’t be happier that we’re now part of the amazing Central Oregon Daily/TDS family. When not making commercials, you can find me snowboarding on Bachelor, on the softball field, or at home with my beautiful wife and our two cats. A native Oregonian. I’ve been involved with broadcast TV since….well, let’s say big hair bands ruled the earth. I enjoy finding those hole-in-the-wall places that serve great food I can tell others about. I’ve been known to quaff an ale or two with others or by myself when the mood deems it. Married (also since the time of Springsteen’s Born in the USA). Pet owner, a great dog and two cats (not my choice). Been a lot of places in the world but Central Oregon is Home. From my attempts at ghost hunting, to filming video game conferences to hiking mountains in Mexico to documenting enduro races, my passion to capture emotions through the lens became relevant in 2008. Nearly 10 years later, I consider myself extremely fortunate to have found a place that allows me to continue to learn and sharpen my skills, while producing content that stands out from the rest. Wearer of many hats, Karina helps in the many facets of the marketing department, including our online presence, supports sales, and even answers the Central Oregon Daily phone. She has been an active member of the Central Oregon community for 17 years. Karina is an avid hiker and nature enthusiast. She also loves to travel internationally and recently her dream of traveling to Spain to explore the various regions of the country became a reality. Our Creative Services team has all the resources, equipment, ideas and experience to produce a commercial that WORKS for YOU. Our current Rate Card can be found here.